You are here: Home / Keokuk Middle School / Problem Solvers! 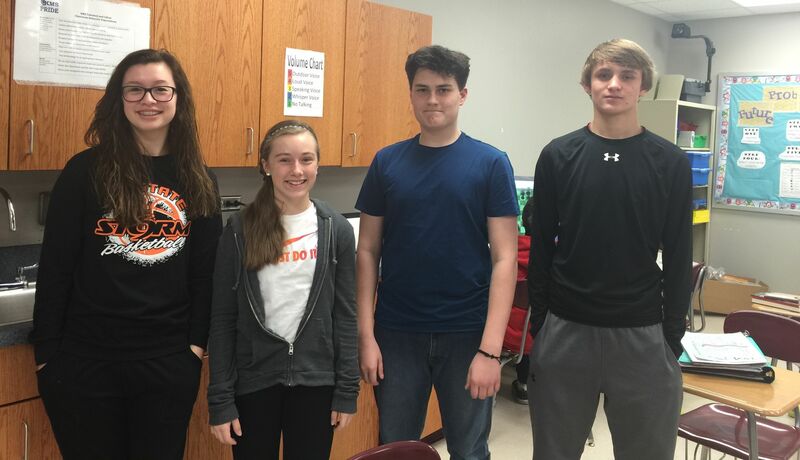 Congratulations to Gabe Jones, Drake Huffman, MacKenzie Northup, and Kendall Watson for making it to State for Future Problem Solvers. They will compete in Ames on April 17th and 18th. Way to represent Keokuk Middle School! (L,R) MacKenzie Northup, Kendall Watson, Gabe Jones, & Drake Huffman. Future Problem Solvers. They will compete in Ames on April 17th and 18th.